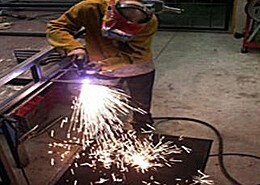 The Ultimate anti-fatigue solution for machinist and welder applications. This orthopedic wonder works well in all areas of the industrial workplace. The Human Resource Manager’s Solution to: Reduction of strains, pains, and worker’s compensation claims related to prolonged standing. The softest, most comfortable mat on the planet. 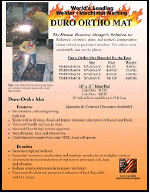 The Duro Mat’s protective top surface will withstand hot metal sparks, is metal chip resistant, and is self-extinguishing.